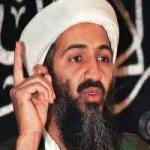 Osama tracked Because Fear Technology ~ " World Information "
Jakarta - luxury residence of Osama bin Laden was estimated worth $ 1 million. But inside, it turns out there is absolutely no communication devices. No internet or phone. Fears Osama in this technology even lead to death. "Intelligence analysts concluded this place is deliberately built to hide someone important," he said, quoted by Reuters and quoted on Tuesday (03/05/2011). Intelligence was convinced this man was Osama bin Laden, after analyzing the clues of other clues.